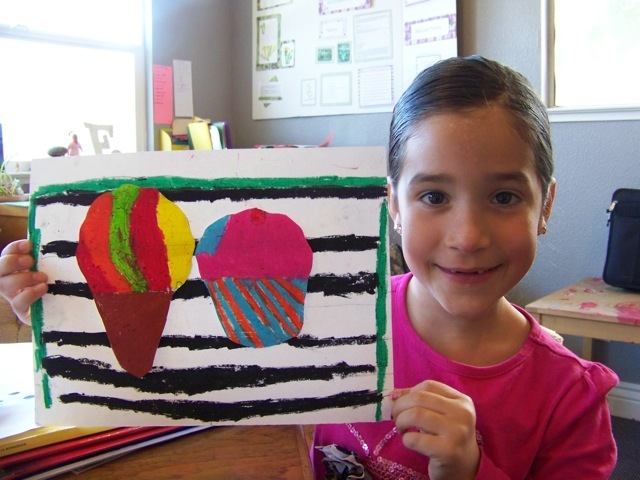 We currently offer three art packs yearly for the use of our students. Families can use the link at the left to print the information and study packet; pick up supplies in the Annex or from your E.C. "Thumbnail" illustrations are shown below; full-size displays of project photos are available in the Annex. 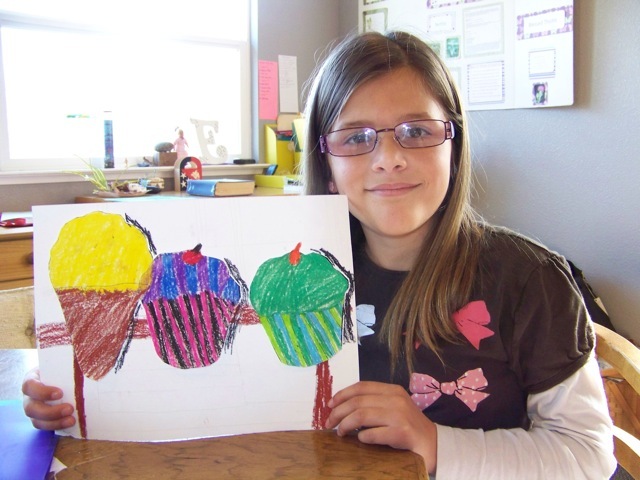 One of our prior art packs involved...cupcakes, with featured artist Wayne Thiebaud. These young ladies created quite different interpretations using the same information!